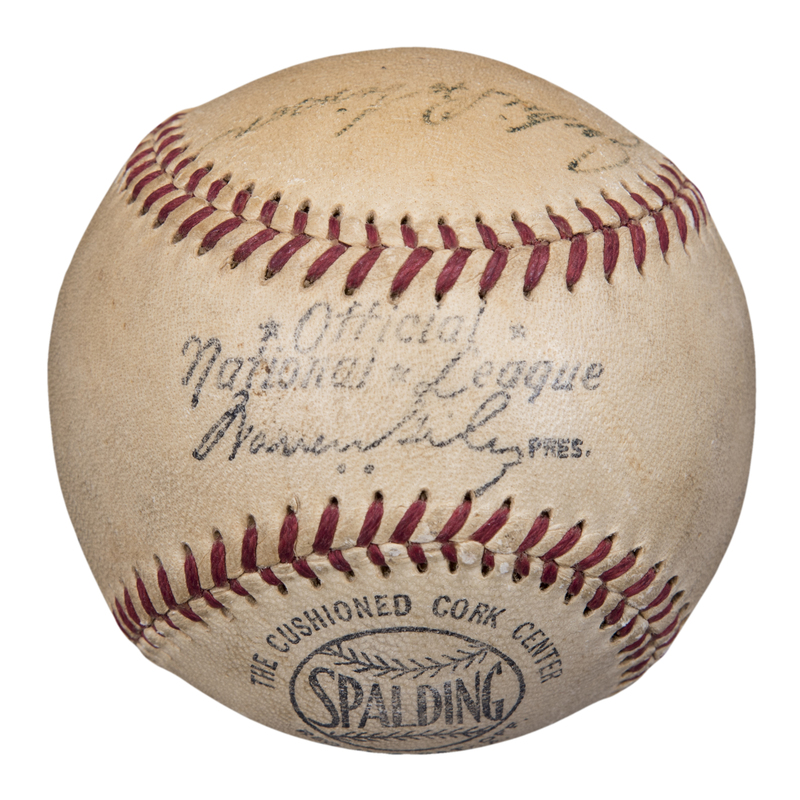 This Official National League Warren Giles baseball has been signed by Jackie Robinson, Wes Westrum, and Jim Hearn. 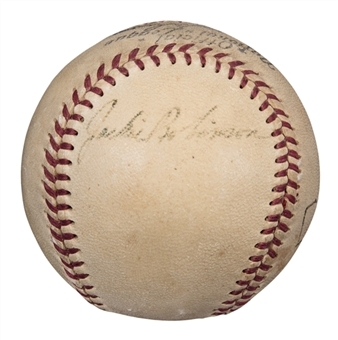 Robinson, arguably the most important player in baseball history and the star attraction of this sumptuous baseball, has signed the panel directly to the west of the sweet spot. Robinson, the 1947 Rookie of the Year and 1949 NL MVP, played 10 seasons for the Brooklyn Dodgers and led them to their only World Series title in New York. 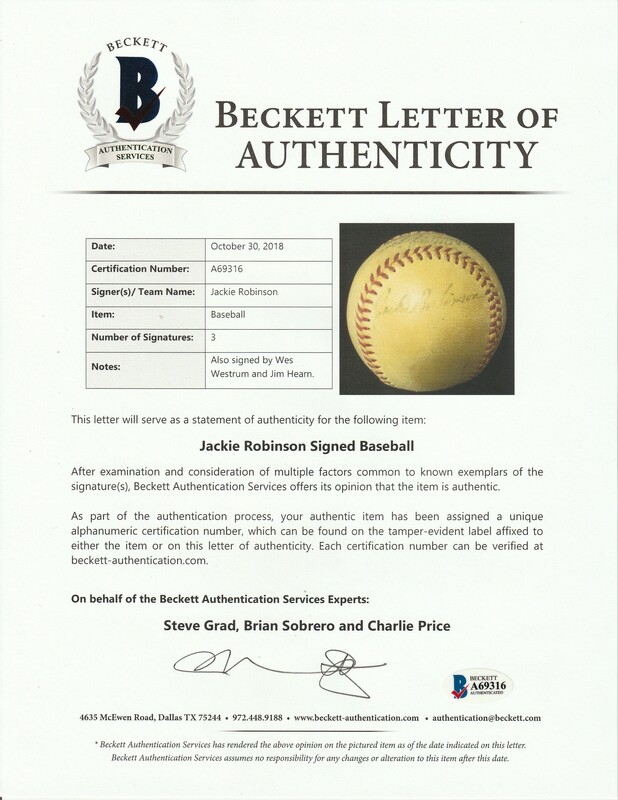 Robinson has signed his name in black pen on this toned baseball. 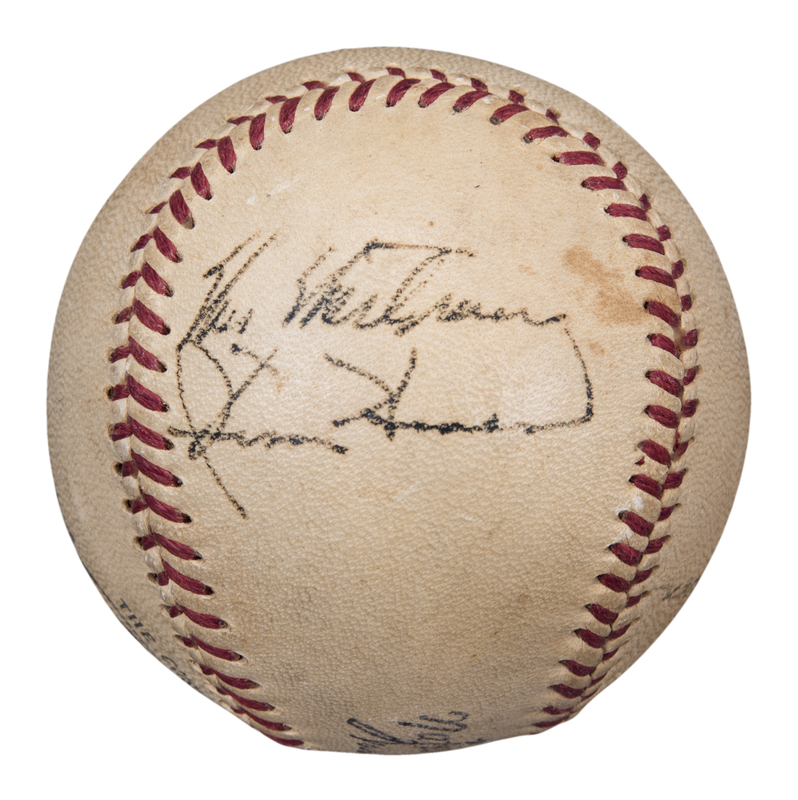 The two other signers on this baseball, Westrum and Hearn, both made their MLB debuts in 1947 and played until the late 1950’s. Westrum, a catcher, made two All-Star teams and later managed the New York Mets and San Francisco Giants, while the pitcher Hearn won the 1950 National League ERA title and made an All-Star appearance in 1952 with the New York Giants. Hearn and Westrum have signed the panel north of the sweet spot in black pen. 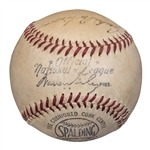 This baseball comes with a LOA from Steve Grad of Beckett Authentication (A69316).